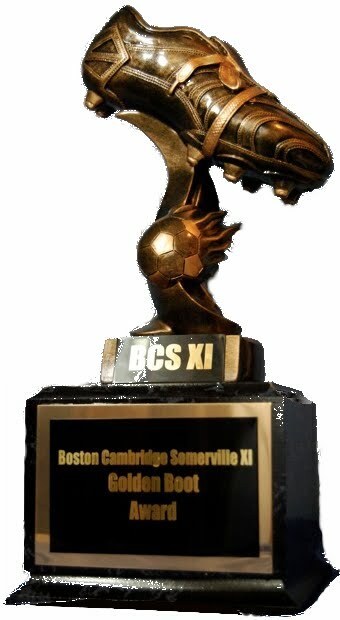 BCS XI used a second half goal blitz to defeat Holliston 5-2 and remain four points clear at the top of Division 3N. Despite dropping points for the first time this season, Holliston are five points clear of OHP Gunners in Division 3S with a game in hand. On yet another beautiful Saturday, the game kicked off at 9AM at Dilboy Stadium. With the caliber of the two teams involved, the game promised to deliver quality and excitement. The first goal of the match came just five minutes in and gave Holliston a 1-0 lead. After a backheeled pass into the box, a collision between defender, striker, and keeper saw the ball pop out into the six. It seemed the danger would be cleared, but a mishit clearance saw the ball trickle over the line. BCS at first struggled to maintain possession, with Holliston staying well-organized behind the ball and picking off stray passes and poor touches. Holliston possessed the ball well in the BCS half and extended their lead 20 minutes in. This time, what appeared to be a mishit cross looped high and into the far corner, giving keeper Dave no chance to make a save. BCS responded better after the second goal and began to establish themselves in the offensive third. When BCS did threaten, however, they saw their shots go wide and their crosses cleared by strong aerial play from the Holliston back four and keeper. Having failed to create any gilt-edged chances, the home team walked in at halftime down 2-0. After a tactical discussion by Coach Ramo, BCS came out a rejuvenated team in the second half. Dropping into a 4-5-1, the home team quickly took control of midfield and of the game. In a stunning six minute period, BCS turned their 2-0 deficit into a 4-2 lead. Precise passing, continuous movement, and confident finishing saw BCS tear the Holliston defense apart seemingly at will. The star of the show was Joe, who powered in two goals from close range and also created goals for Paul and Dave. Holliston were shell-shocked, having conceded just five goals in their previous nine games combined, and they failed to reestablish their confidence or possession for the rest of the game. As the Holliston defense visibly tired, BCS saw out the remainder of the game comfortably on defense and continued to threaten offensively. Numerous chances went begging, including a fine solo run from Ramo that began in his own half and ended in a shot going just wide. Dave completed his brace to round out the scoring, courtesy of a long pass from Andy Hoot that Dave controlled on his chest before blasting past the keeper from 20 yards. Despite BCS' dominating second-half performance, Holliston demonstrated their impressive technical ability and organization. It was clear why they remain top of Division 3S, and BCS looks forward to hopefully meeting again next year in Division 2. BCS conclude the first half of their 2012 BSSL season with a Tuesday night matchup against Druids, who currently sit fourth in Division 3S but are well-positioned to challenge for a playoff spot.